In 1996, Wilson Lourenco described the species Cercophonius himalayensis Lourenco, 1996 (Bothriuridae) from the Himalayas of India. This was the only known bothriurid from Asia, and no other members of this family have been recorded from this region afterwards. 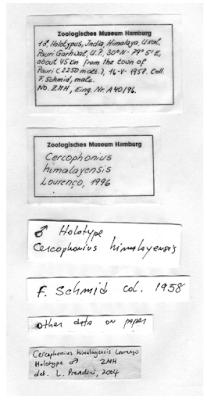 Andres Ojanguren-Affilastro and co-workers have now examined the holotype of Cercophonius himalayensis and conclude that it should be synonymized with the South American species Phoniocercus sanmartini Cekalovic, 1968. The authors conclude that the holotype of C. himalayensis probably was mislabeled and it was not collected in India. This also means that there are now no Bothriuridae in Asia, only in South America, Africa and Australia. 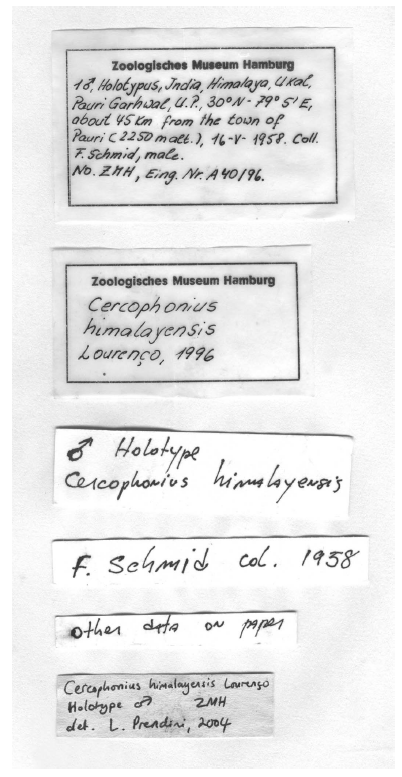 We studied the male holotype of Cercophonius himalayensis Louren¸co, 1996, the sole member of the scorpion family Bothriuridae from India, and concluded that it belongs to a species of the genus Phoniocercus Pocock, 1893, which is endemic to the temperate forests of Patagonia. The presence of a Patagonian genus in India is extremely unlikely; therefore, we consider this to be a case of mislabeling of the specimen, and consequently exclude the scorpion family Bothriuridae from Indian fauna. Cercophonius himalayensis is transferred to the genus Phoniocercus, and formally synonymized with Phoniocercus sanmartini Cekalovic, 1968. A brief illustrated description of the type specimen is made, emphasizing important diagnostic characters and some body parts not previously described, such as the hemispermatophore. We also present a probable explanation for the origin of the material. Thanks to Andres Ojanguren-Affilastro for sending me their article!